Full Partner: Pérsio Thomaz Ferreira Rosa. 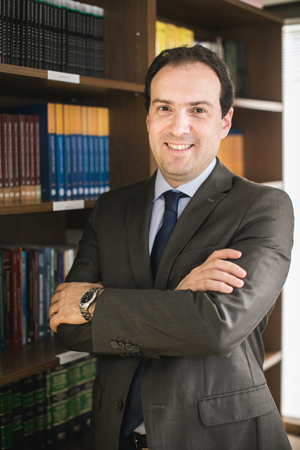 A graduate of Pontifícia Universidade Católica do Estado de São Paulo – PUC/SP in 2000, he is a specialist in civil procedural law by COGEAE, linked to PUC/SP. Obtained a Masters degree in civil procedural law also at PUC/SP, adressing the subject of the non-signatories before the arbitral convention: "Third Parties and the Arbitral Convention: Endeavour to build a system in light of brazilian private law". He took courses in continued education in administrative economic law and arbitration by EDESP, of the Fundação Getúlio Vargas de São Paulo/SP. LLM in Corporate Law at INSPER, having addressed the subject of ascertainment of assets on dissolution of partnership before brazilian procedure civil code. Member of the Brazilian Arbitration Committee (CBar), of the Arbitration Commission of the Centro de Estudos das Sociedades de Advogados (CESA). Member of IASP (INSTITUTO DOS ADVOGADOS DE SÃO PAULO). Member of CEAPRO (Centro de Estudos Avançados de Processo). Acted as Assistant-professor of civil procedural law in the Law graduation program of PUC/SP. Is skilled in several areas of action, which encompass all the segments necessary to serve companies. He was an associate attorney and partner in two other law offices in São Paulo. He has articles published in specialized magazines, and also in newspapers and periodicals. Acts in the areas of civil procedural law in general, arbitration law, and consultation areas in contracts, consumer and civil law in general. Language: English and Italian | e–mail: persio.rosa@frosa.com.br | Phone/Fax: 55 11 3078-1599.